Building a New Home in La Paz: follow along as Robin and Miriam build a new home from the ground up in El Centenario. Baja Caviar: get Fern's recipe! Baja Dogs: local volunters are helping hundredsof lost and abandoned dogs find new homes. Learn how you can help. Capital Gains: will I have to pay it when I sell? Expats in Mexico: what's the attraction? Read the results of this research study. 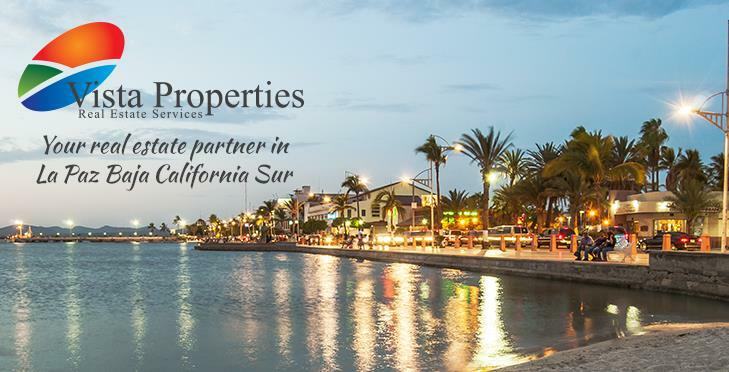 Why We Moved to La Paz: read why locals Jim & Rebecca MacDonald ditched their Silicon Valley lifestyle to retire early and live in La Paz full time. Tiendas of La Paz: read about the local markets that where you can buy the freshest produce, meats, tortillas and other groceries. 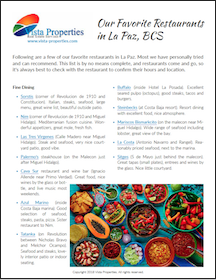 Check out our blog for informative articles on what it's like to live the La Paz lifestyle.